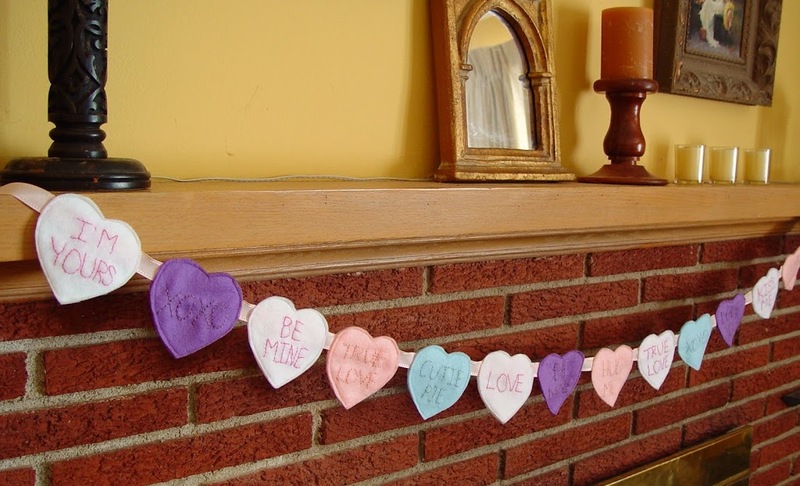 Here’s a simple Conversation Heart banner for Valentine’s Day. 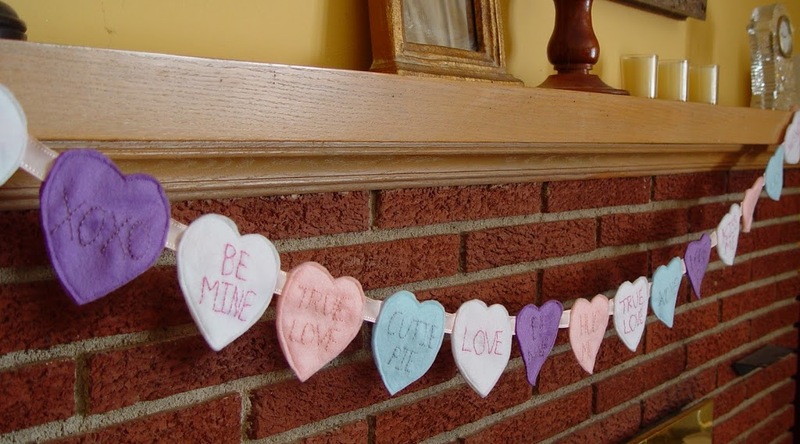 Ok, print out your pattern and cut it out. 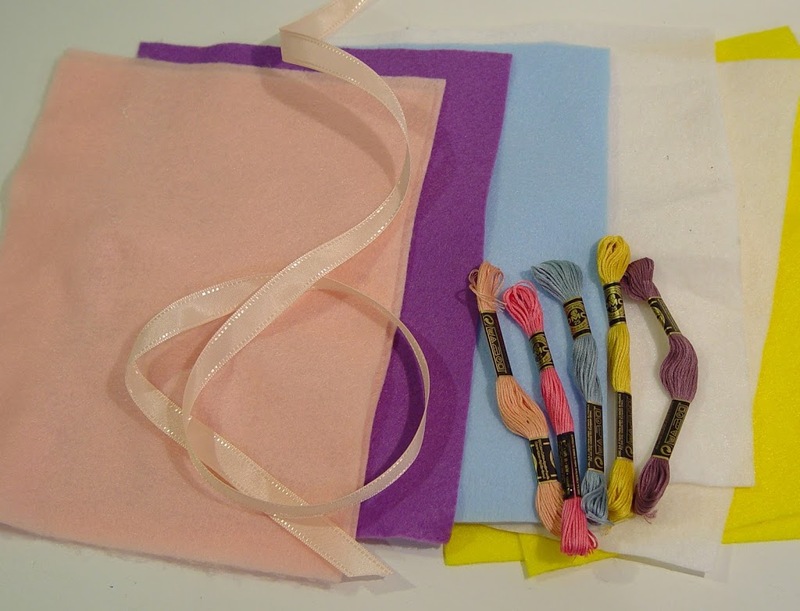 Using a permanent marker or water soluble pen, trace your pattern onto the felt. 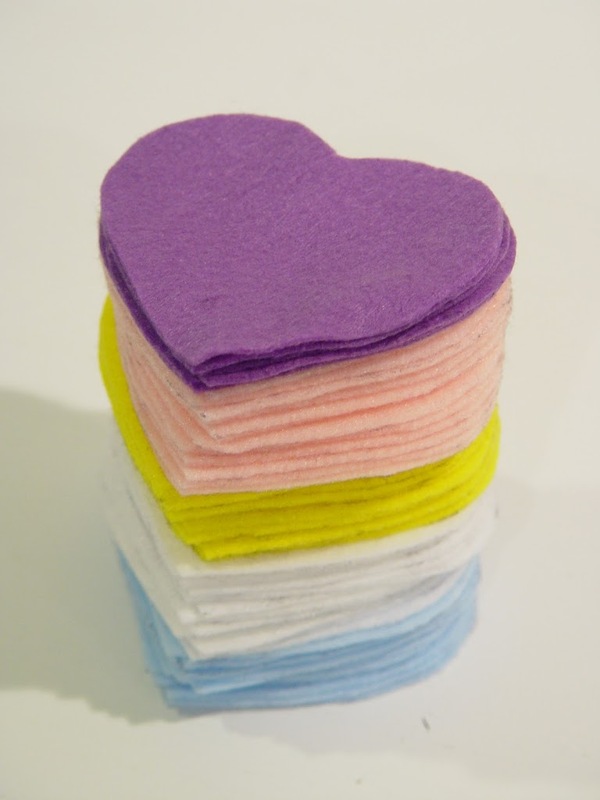 You can fit 6 hearts total onto a sheet of 9″ x 12″ felt (which will end up being 3 hearts on your banner). 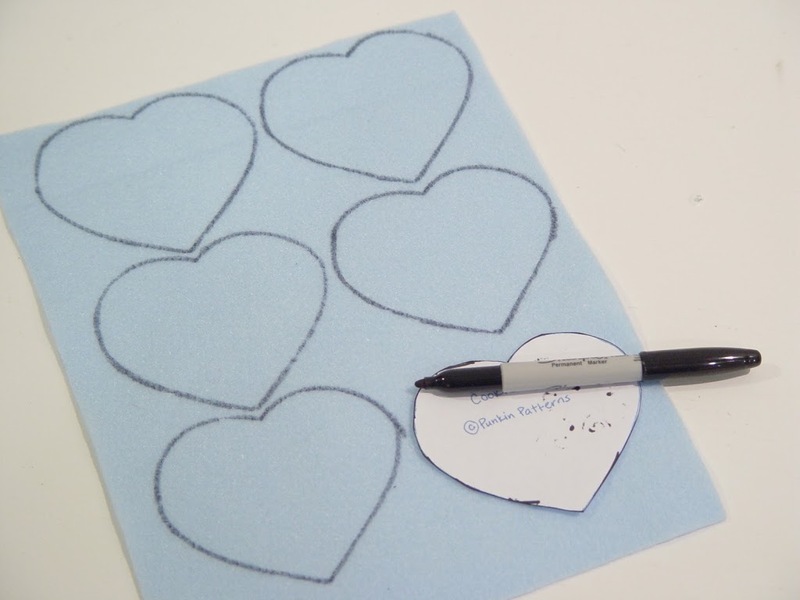 Cut out your hearts (making sure to cut just inside the lines if you use a permanent marker). There are yellow hearts pictured above, but in the end I decided not to use them. 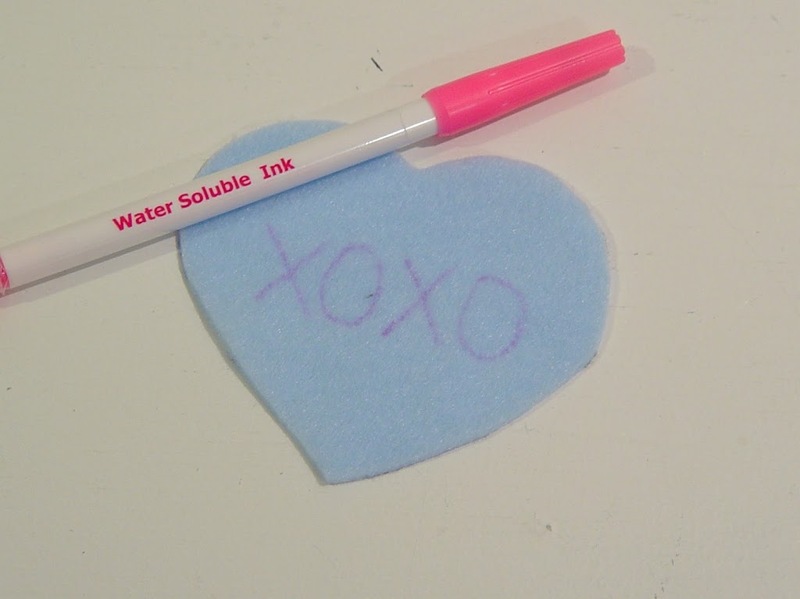 Using a water soluble marker, write your message onto one of the hearts. 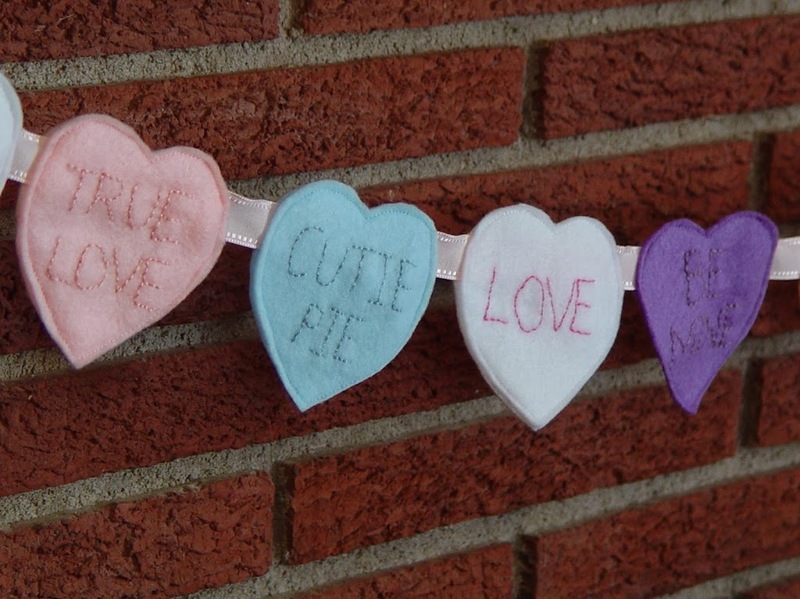 Now, embroider your message. 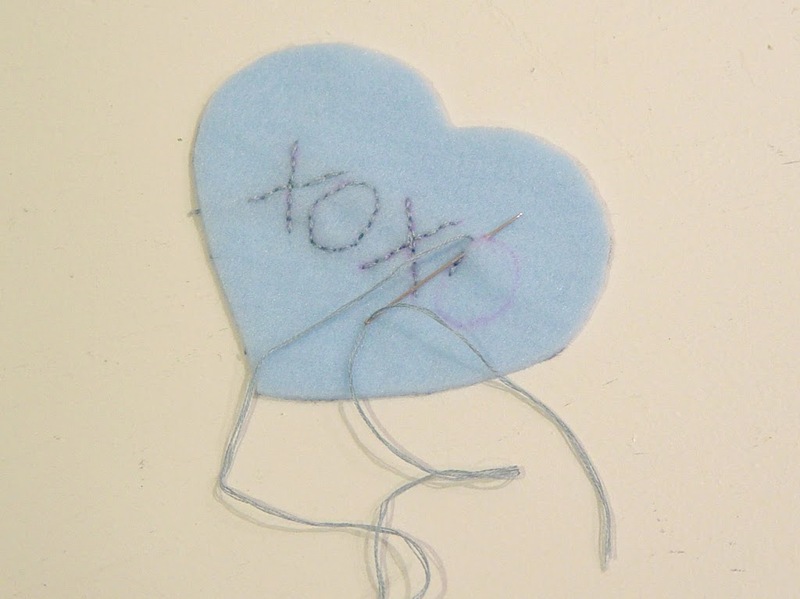 I used a simple back stitch. But you can do whatever you like. 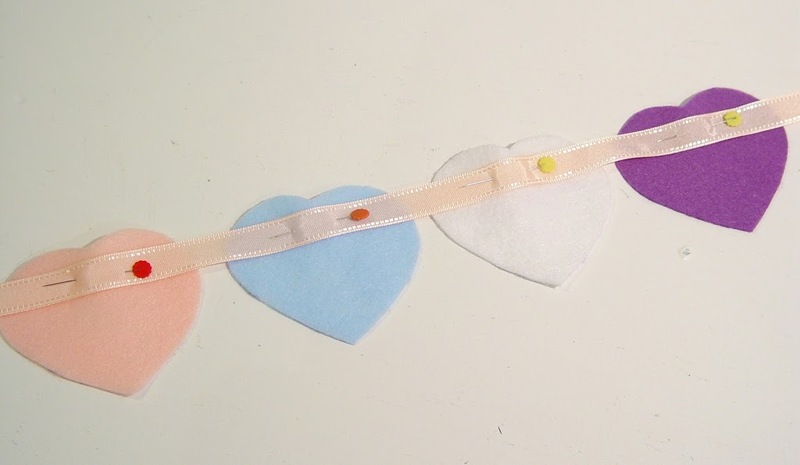 Now, take the plain hearts and pin them to the ribbon (ribbon on top) – spacing them as you like. 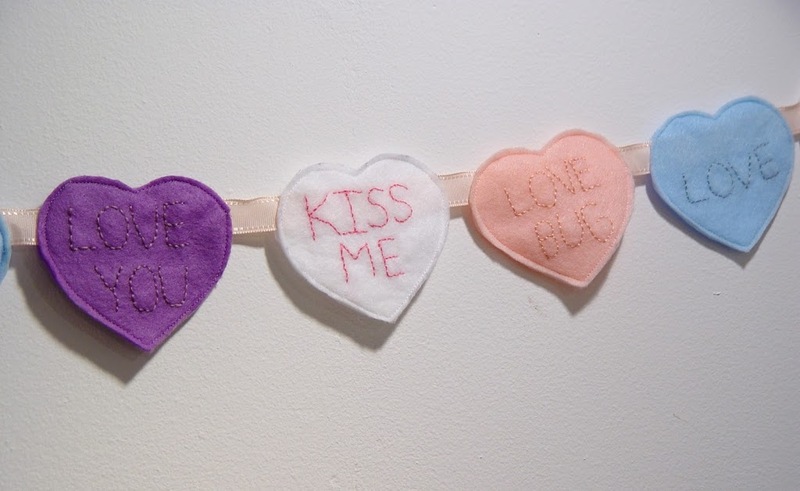 Sew the ribbon to the hearts. 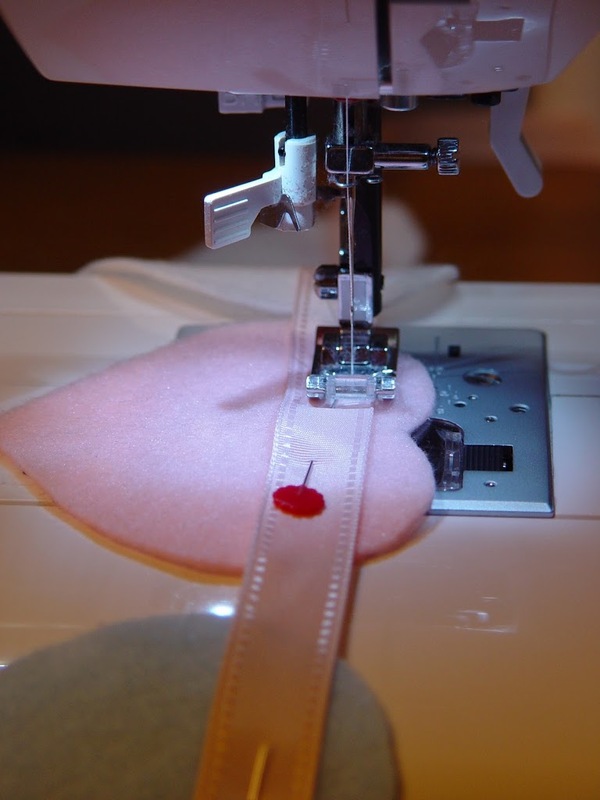 If there’s a gap between your hearts (like there is with mine) and you don’t want your thread to be seen, you’ll have to sew on each heart separately. 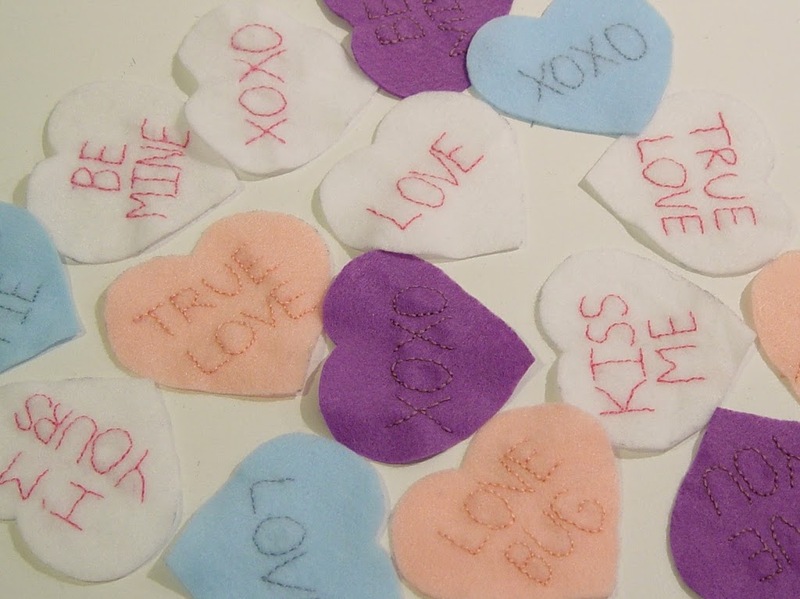 Once all of the back hearts are basted on, pin on the front conversation heart (matching front and back colors). 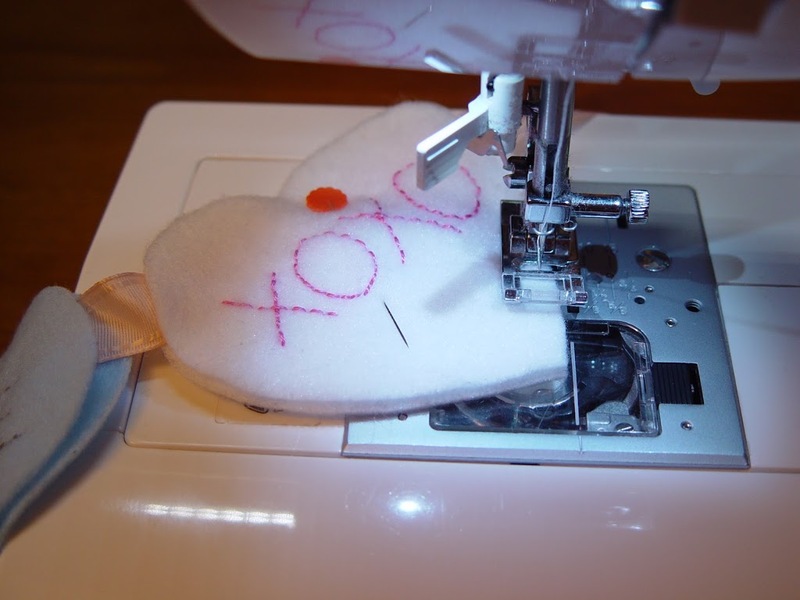 Use a scissors to trim any parts where the hearts don’t perfectly overlap. And then hang your banner! 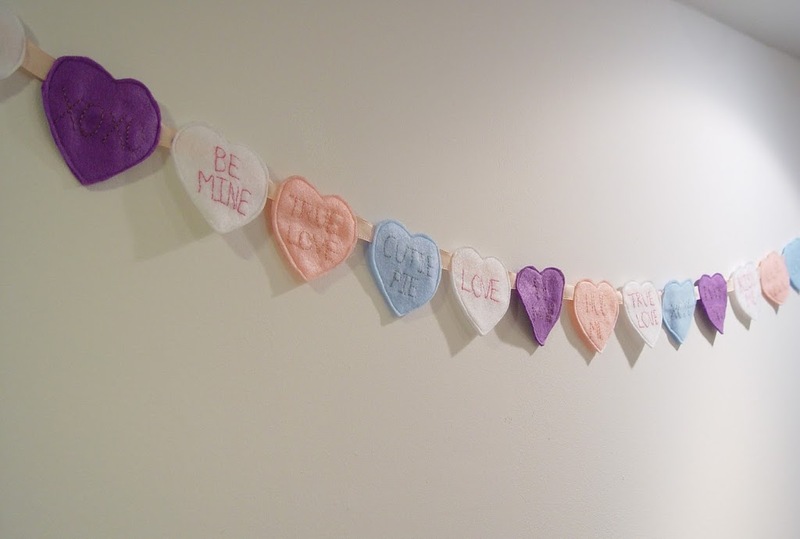 Happy Sewing and Happy Valentine’s Day!! This is absolutely ADORABLE!! 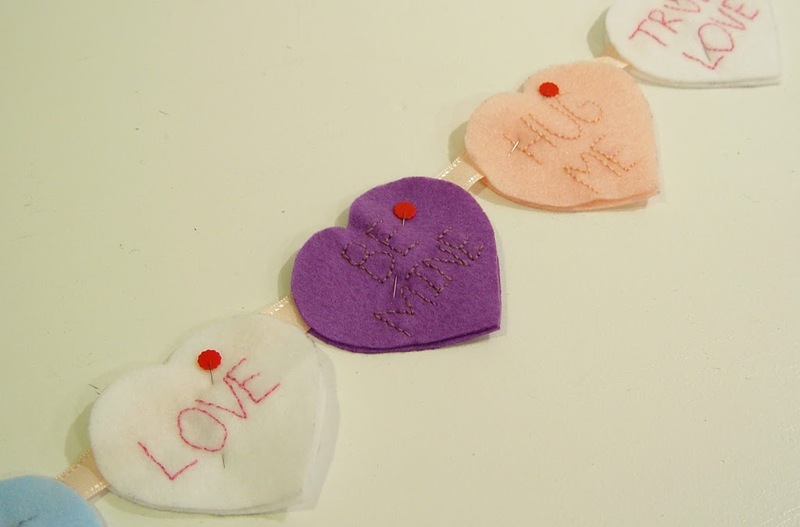 I’m putting together a section of crafts for LOVE month on my site … http://www.wikimommy.com … and I would love to feature this!! Please email me ro (at) wikimommy (dot) com and let me know if I may re-post this on my site. Thanks for sharing! !